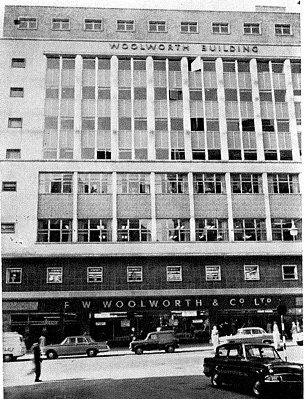 Woolworths opened its second Birmingham store, after the Bull Ring, in New Street in July 1927. They traded from this side of the road for about 20 years, until there was serious bomb damage during WW2. Birmingham New Street Woolworths 1930s-40s? The above photo shows the ‘skyscraper’, which opened for business in 1961. The offices upstairs generated a substantial rental income for the company. Below is a side angle of the store from the 1970s. 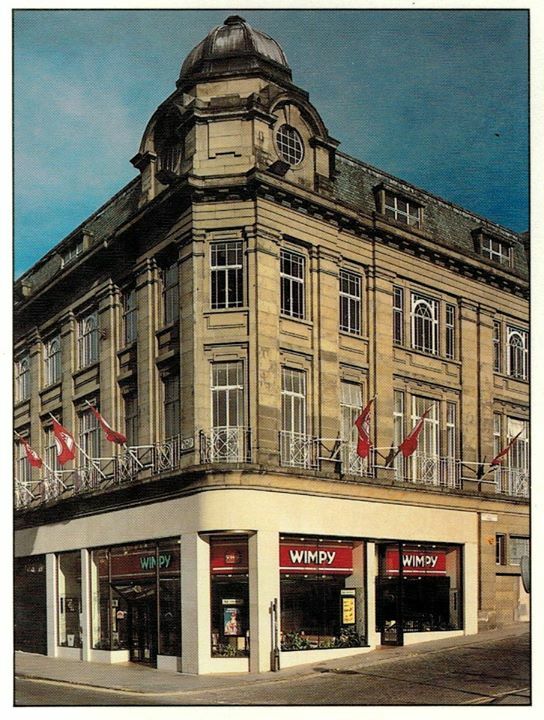 Sadly when Kingfisher took over, they closed this store in 1983 along with the Bullring store. 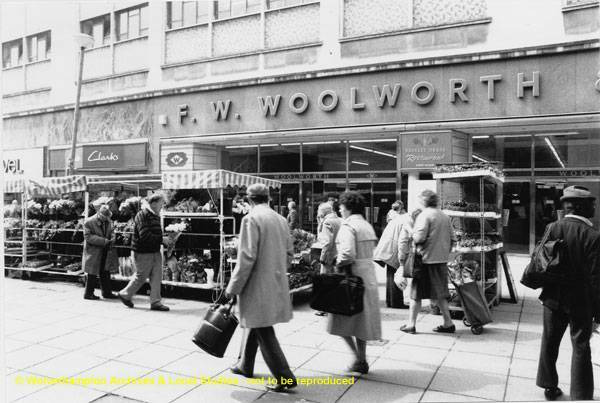 So for a while there were no Woolworths in Birmingham City Centre, until the 1990s when a store opened in the Pallasades Shopping Centre. Today the building is named “Charters Building”. 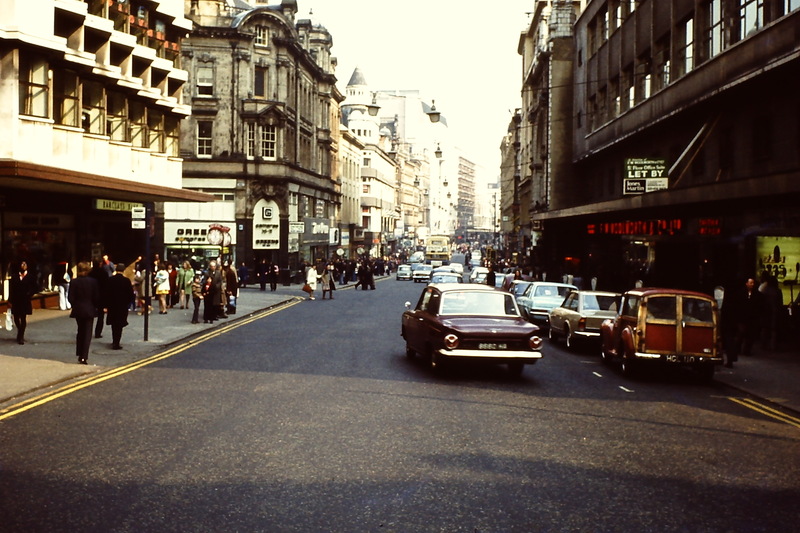 The building on it’s left is the surviving ‘Piccadilly Arcade’ section of the Theatre Royal. In the 1990s, there was a refurbishment of the offices, and the glass lift was added. The retail unit has been split into six and are occupied by Superdrug, Bella Italia, Boots, The Coventry Bank, Wagamama and a vacant unit. 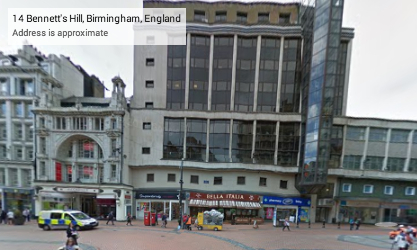 So if you’re ever having dinner at Bella Italia or Wagamama in Birmingham, just remember you are sitting in a quite historic ex-Woolworths! 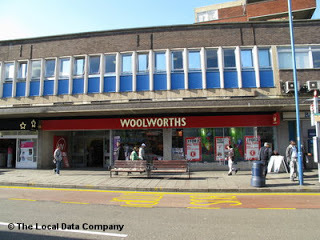 Woolworths opened in Barnstaple, North Devon, in 1925. 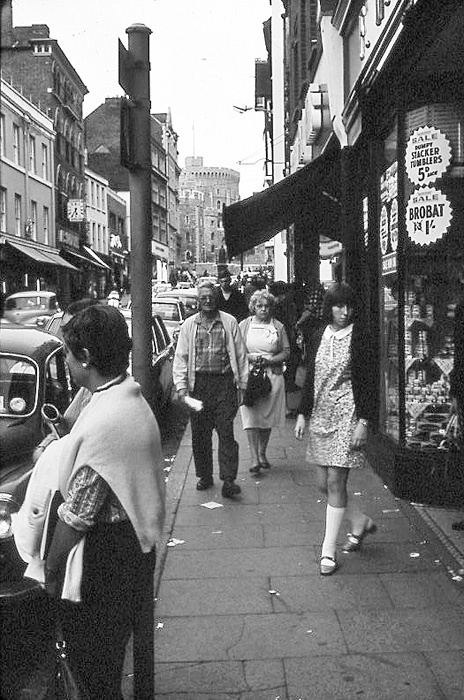 We don’t know what the original store looked like, as the only photo I can find is this one which looks 1970s or 80. From the style of the building we can guess there was a 1950s makeover. It is interesting that the fascia is grey rather than red. In the 1980s the manager was Bob Brock, who was a real gentlemen according to fellow Woolies manager Ian Exeter. 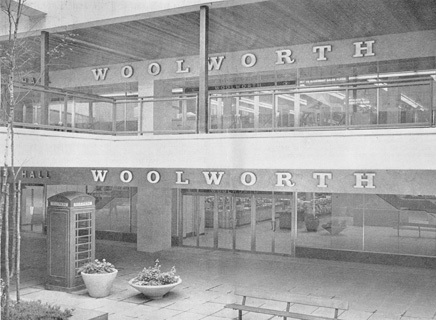 The store closed in April 1992 when Woolworths moved into the Green Lanes Shopping Centre with a new store number of 1177. 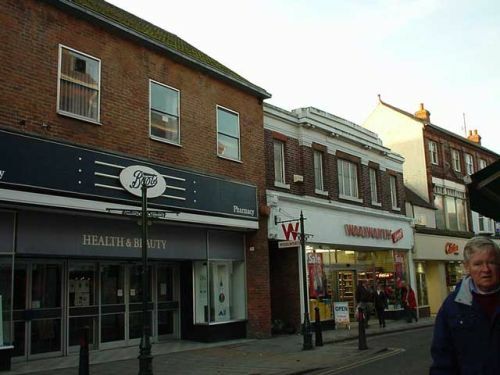 Today the High Street store is Boots, and if you look up you can see the 1950s Woolworths architecture on the first floor. The below photo is from 19th May 1937, when King George VI (1895 – 1952) and his royal procession were driving down the Strand on their way to Guildhall. You can see Woolworths in the background, next to Dolcis Shoes. The store survived World War II intact before being used for concept development in the 1950s. In 1951 a new wooden floor was put in, as well as self-service grocery counters with an extended range of foods. The learnings from The Strand were rolled out widely across the estate from the mid-50s to 1970. 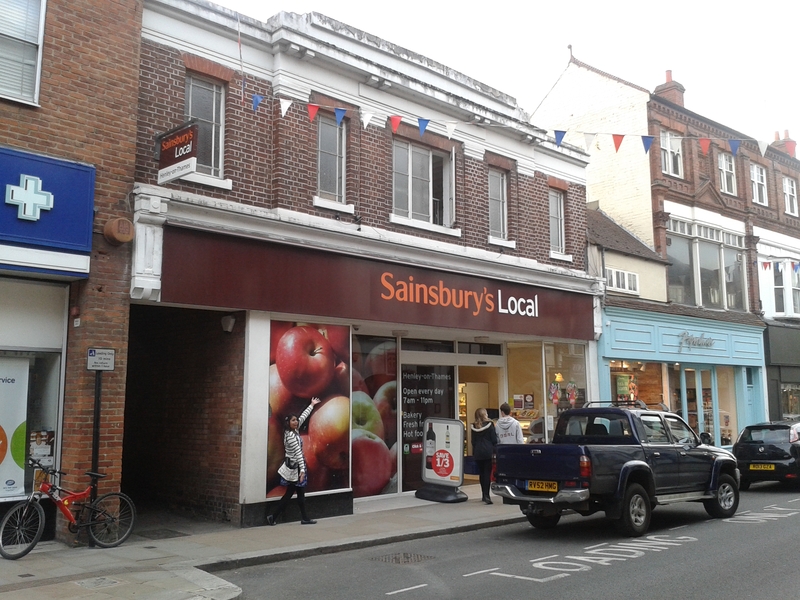 The store had further modernisation in the 1970s with the introduction of an upstairs Harvester Restaurant. The store closed in 1986, when Kingfisher were selling properties to raise funds. 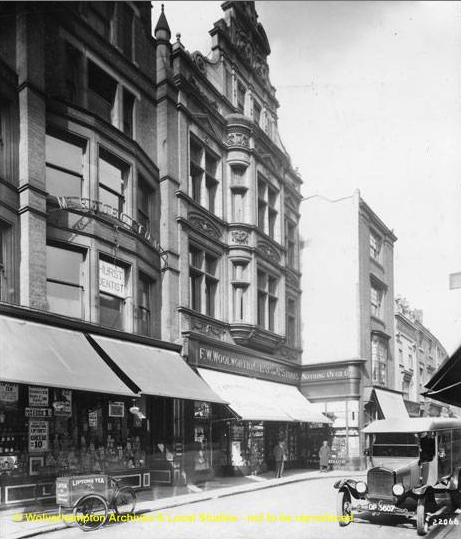 Strand and Holborn stores in London were chosen because they had little weekend trade. 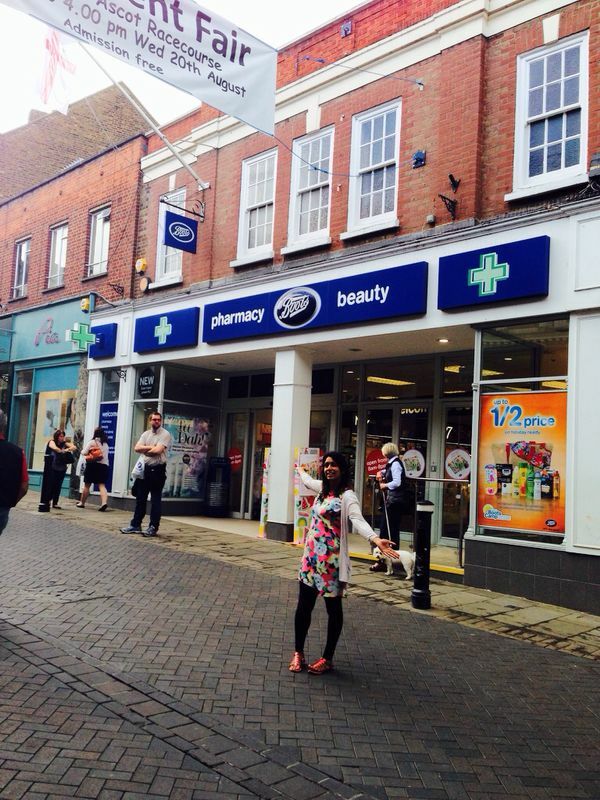 Today you will find Boots in its place – but the whole building is due to be redeveloped next year. Below is an extract from the developers, and it seems they are keeping the original frontage which is good news. “The Duchy of Lancaster has obtained planning permission from Westminster City Council for the £multi-million refurbishment of Norman House at 105-109 Strand in the heart of the Savoy estate. The decision comes as a result of a detailed planning application developed by a multi-disciplinary team and submitted in August 2017. The development project includes a major refurbishment of the existing 1920s building as well as the addition of two new storeys which will improve rooflines at the front and rear. This will be the largest single refurbishment project ever undertaken by the Duchy. Once completed, the new scheme will provide a landmark retail, restaurant and office space expected to be worth over £60 million in value. 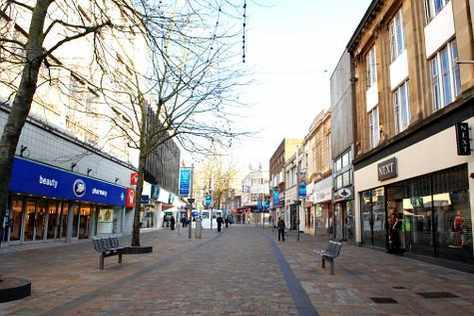 Commenting on the approval, Duchy Head of Urban Mike Andrews said: “The improvement of the Duchy’s holdings and public realm on the Strand has been identified as a key priority for the Duchy of Lancaster. We are delighted with the support we have received from Westminster City Council and believe that the finished scheme will not only enhance the streetscape, but will attract new businesses, shoppers and visitors to this part of the City. 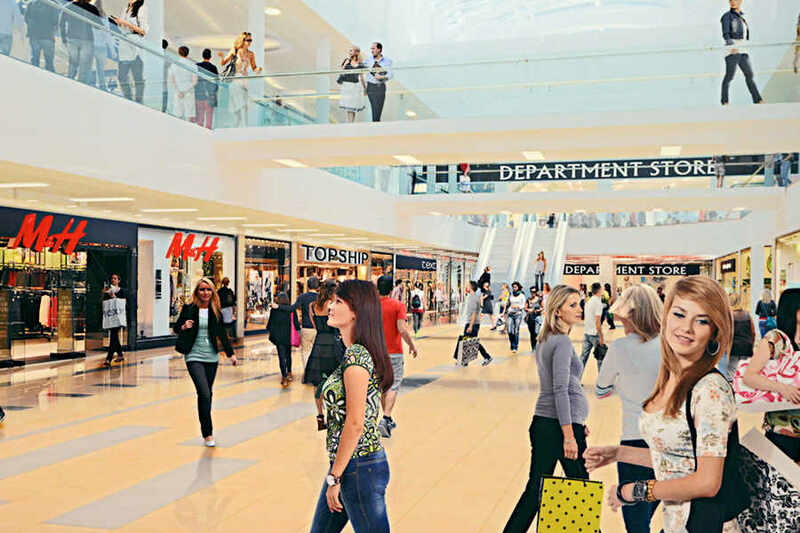 The scheme is designed to appeal to high quality retailers, restauranteurs and corporates who are looking for modern, open spaces which are both flexible and functional. The refurbished Norman House will deliver these spaces, while retaining the charm and appeal of the building’s original architecture. 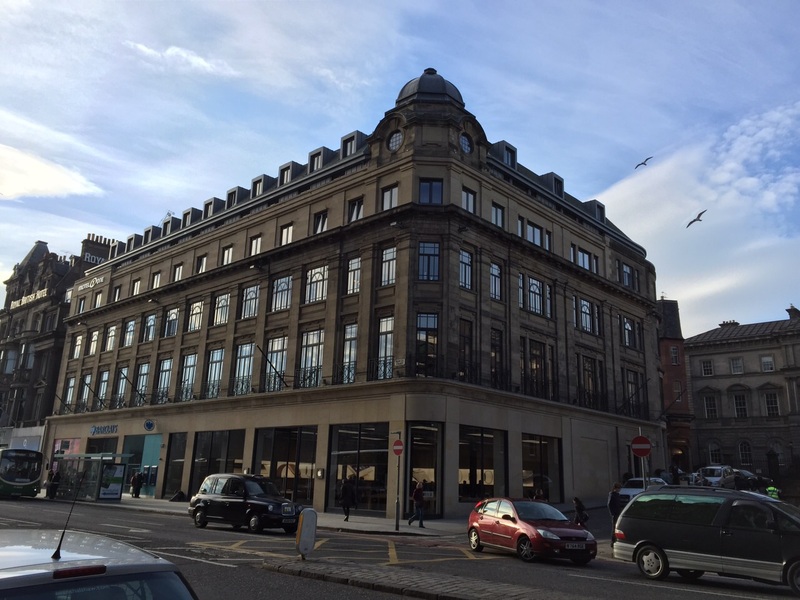 The project team responsible for the redevelopment proposals includes architectural firm ORMS who were first appointed to look at the future potential of the building back in June 2016. Other members include planning consultants Gerald Eve LLP, project management company Quartz, structural engineers Heyne Tillett Steel, mechanical and electrical engineering firm Hoare Lea and cost consultants Exigere. Work is expected to start on site in 2019, with completion due in 2020. 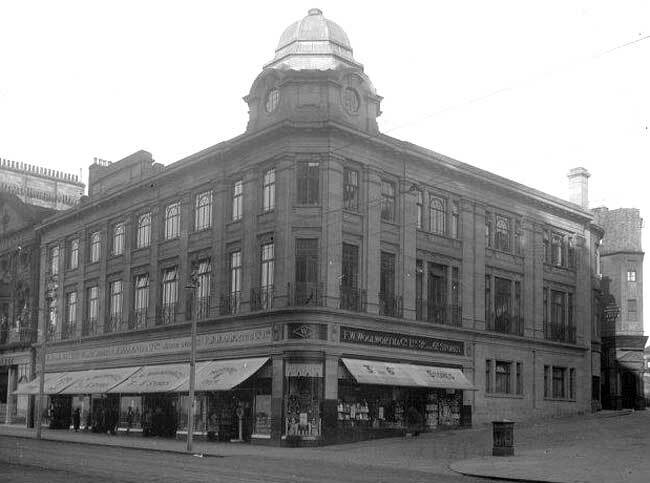 Woolworths opened in York in 1924, with a store on Spurriergate. 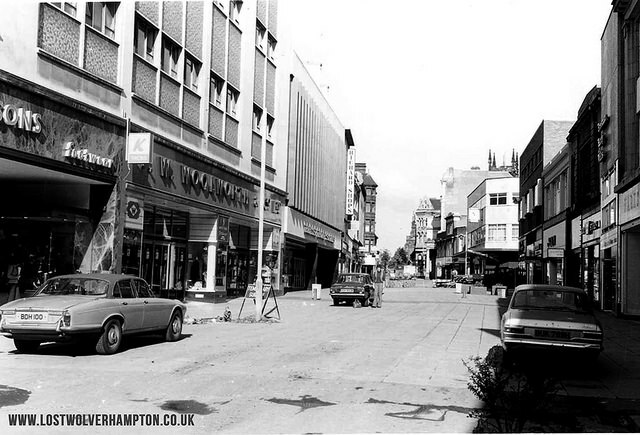 It was located next to the Picture House on Coney Street – you can see Woolworths on the far left of this photo. 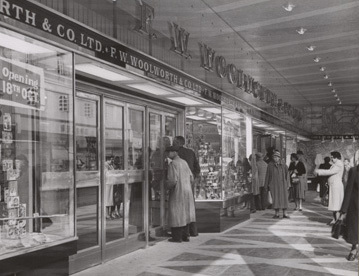 Wooworths was severely damaged by bombing in the Second World War. 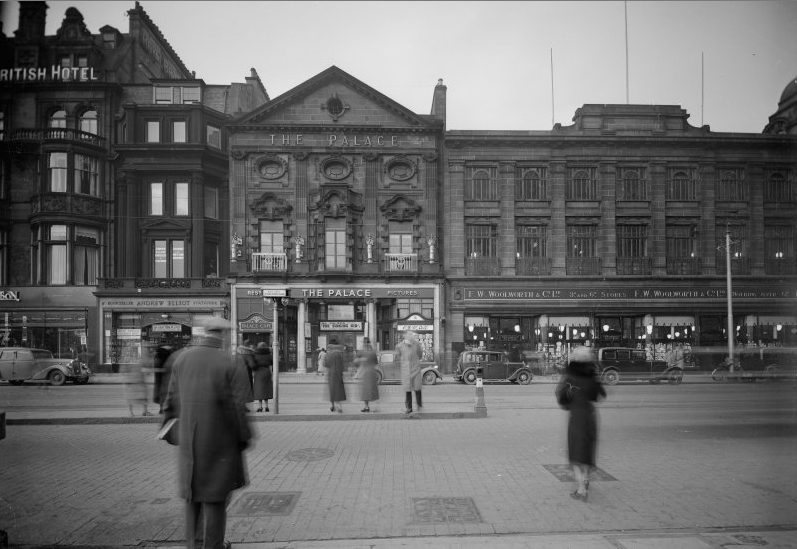 A decade later, in 1955, the old Picture House was demolished and work started on extending the store. 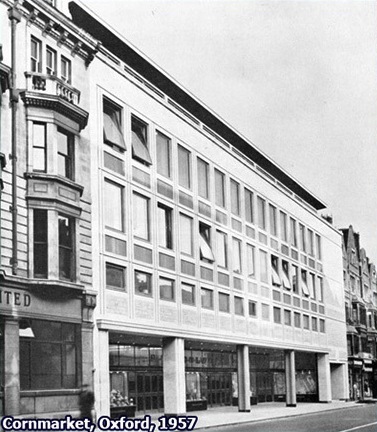 The new larger branch opened in November 1957. It included a Diamond Bar café. 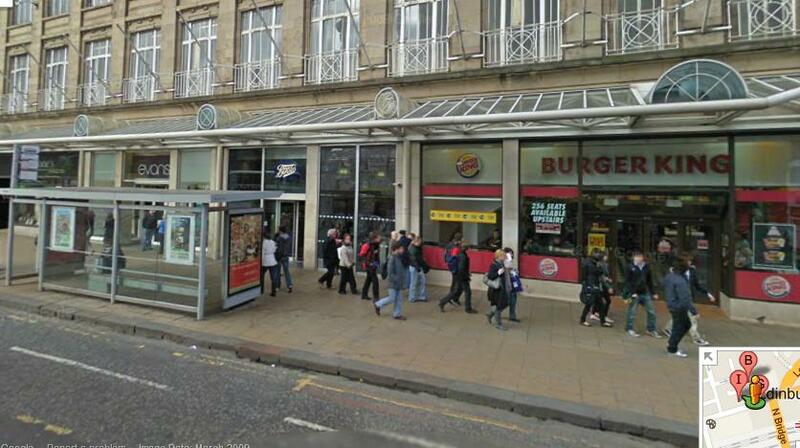 The new store went across Spurriergate and Coney Street, as it was on the changeover point of the two roads. The building was actually 2 Spurriergate and 41 – 43 Coney Street combined. 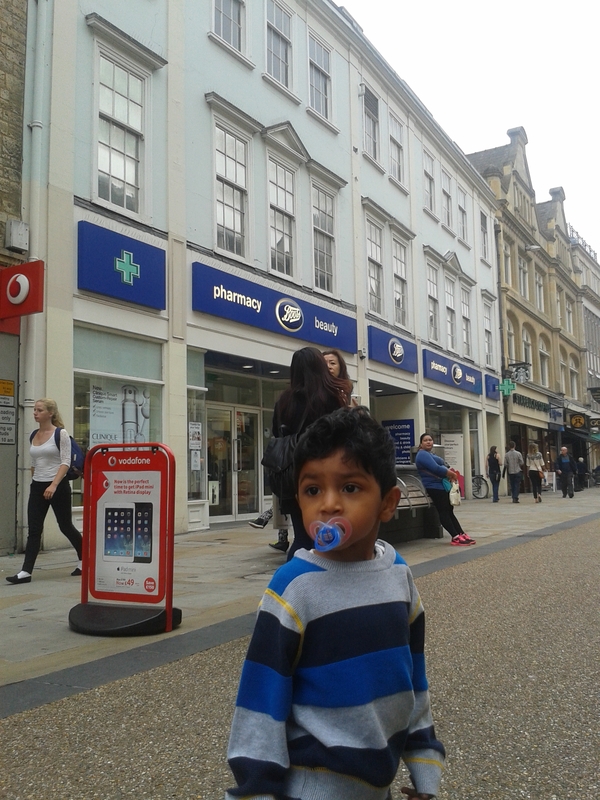 So some locals refered to the store as ‘Coney Street Woolworths’. 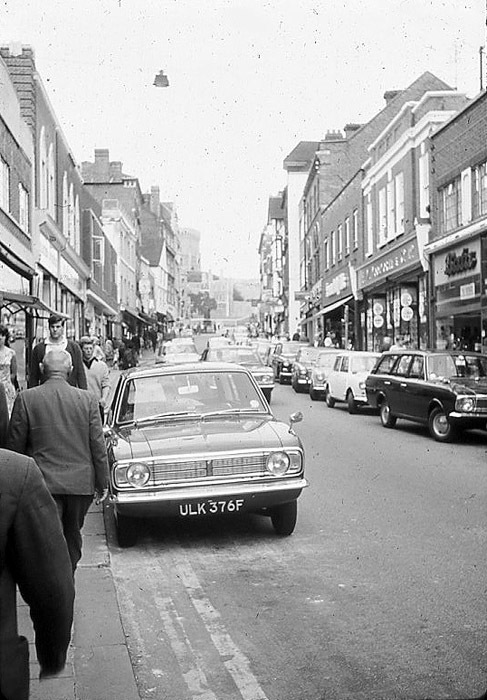 In May 1966 the store opened for the very first time on the Whitsun bank holiday. The “experiment” was declared a success. In August 1977 former boxer Henry Cooper met shoppers instore during a promotional tour of Yorkshire, and in August 1979 singer Lena Zavaroni, swamped by teenage fans, handed out autographed records at the store. Former assistant manager Peter Taylor worked here in the early 1980s with store manager Ray Marriot (who is celebrating his 90th birthday next month!). He remembers everyone getting a day off when Prince Charles and Princess Diana got married. The stockroom was in the basement and backed on to the River Ouse, so it often flooded. As a result, the bottom three shelves of the stockroom were not used. 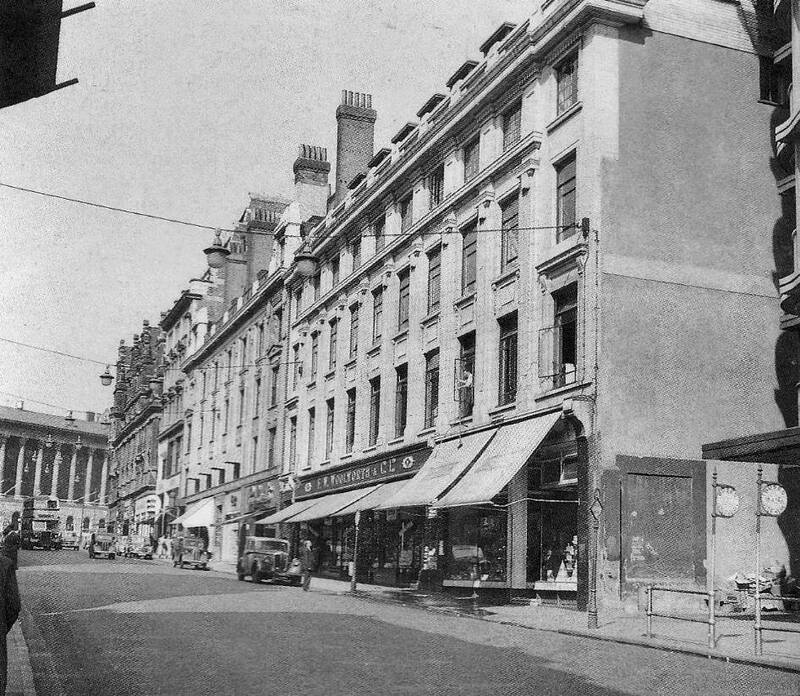 In this below photo you can see two road signs on the building – the far left sign said ‘Spurriergate’ and the middle sign said ‘ Coney Street’. These signs are still present today. 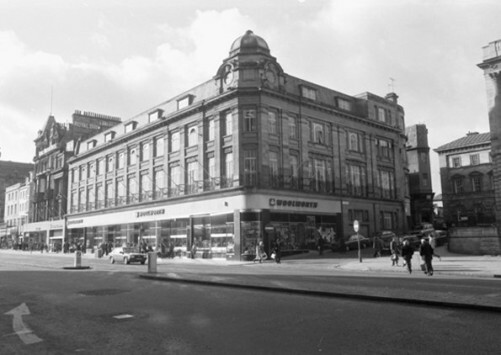 In 1986 this Woolworths had a £500,000 refurbishment, which saw it closed for six weeks. This is a photo of the store during the refurb. In May 1986, there was a grand reopening. This is a photo of store manager Brian Fairburn with Miss York, Jade Campbell. And this was the marketing director Mike Sommers at the opening. 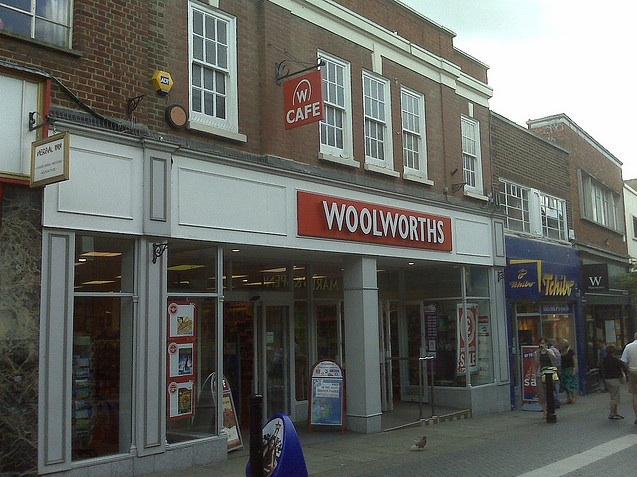 In September 1987 Woolworths employees at York were told to work part-time or quit! The wrangle over Sunday opening continued into the early 1990s. 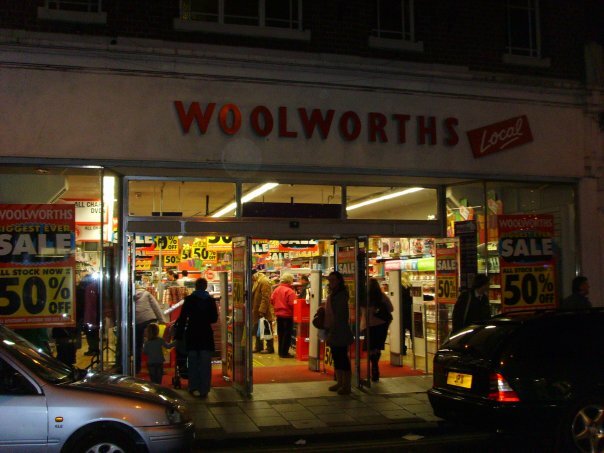 A handful of major shops, including Woolworths, decided to regularly open on Sundays from 1992. The store announces it was to stop selling vinyl record singles in June 1994. Former EUK rep Alex Wood for the York store in the 2000s remembers it also being the regional office. 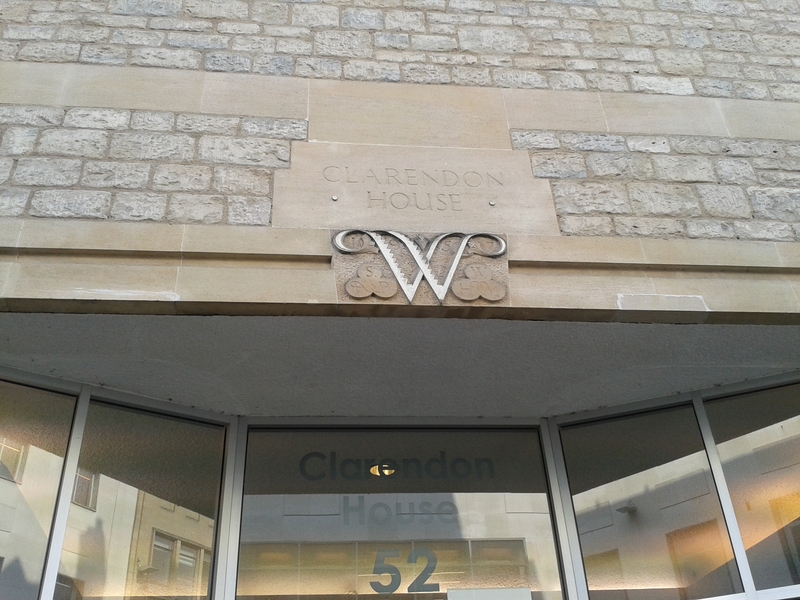 He says they had the most amazing wood panelled offices on the top floor, light oak coloured. But not as impressive as the wood panelled offices in WHSmith next door, which were Victorian! 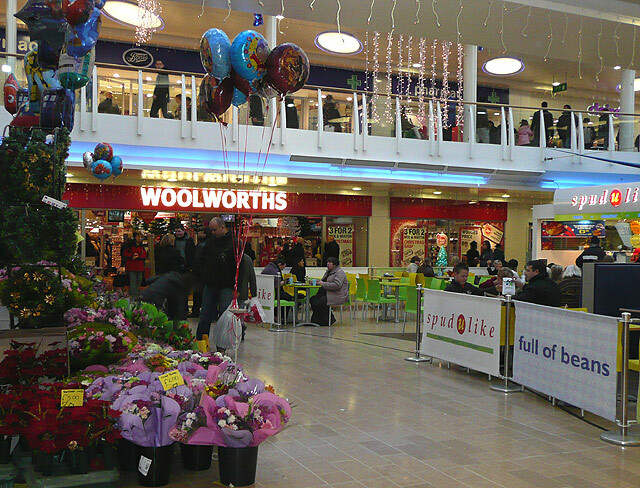 York Woolworths closed down in January 2008, earlier than the closure of the whole chain. They had received an offer for the building that could not be refused, which was why it closed. Shortly after closure, Boots moved into the building where it still is today. If you are ever shopping in York, take a look above the Boots store and admire the 1950s Woolworths architecture. Sources: Most of the facts, dates and photos are from this excellent York Press article. 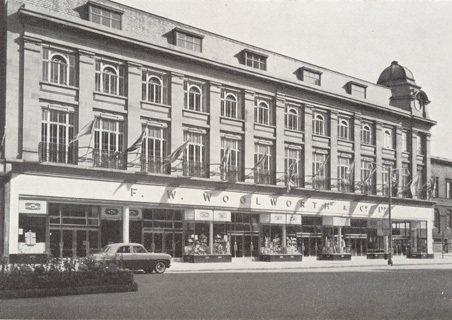 Woolworths opened in Harrogate in 1923. It had a corner location on Cambridge Street. They kept the structure of the previous shop, but put a grey facade up, perhaps it was cream coloured when it first went up. The store was one of the last to close in the December 2008 closures. Boots moved from across the road to occupy the building, and you can still see the Woolies architecture above. 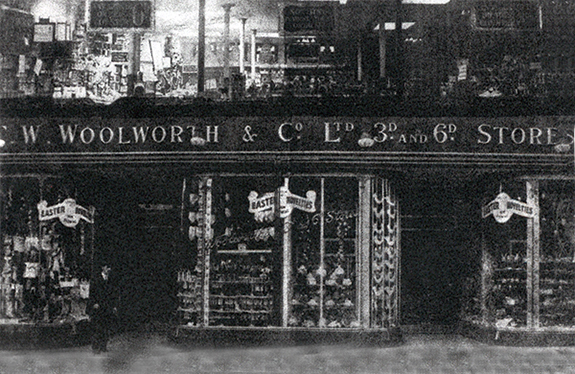 Woolworths opened in Coventry on 25th November 1922, on the main shopping area of Smithford Street. A building with an Art Deco facade was erected (see on the left in this photo). The store was enlarge in 1931 (middle right of this photo). There was a further enlargement in 1938, but some after there was an IRA attack in 1939 with minor damage. 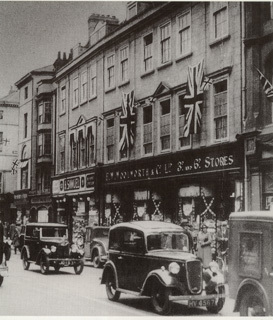 Then in 1940 the store was destroyed completely along with most of Smithford Street when bombs dropping during WW2. 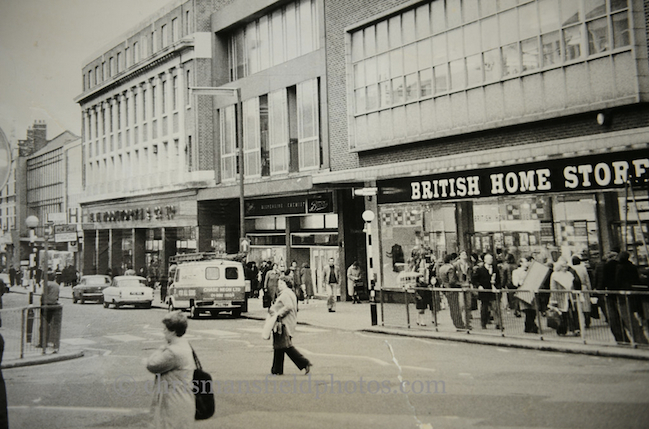 A new shopping area had to be built over the old Smithford Street. This happened in the 1950s. 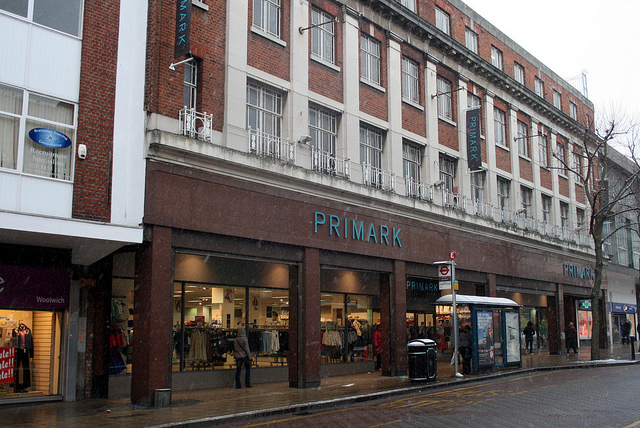 A building called ‘The Precinct’ was built, and Woolworths occupied most of the building from Coventry Point to the Lower Precinct. The main entrance facing onto the Lower Precinct (pictured below). The photo does show it being called ‘The Woolworth Building’. It was a massive superstore, with the ground floor being the length of the building, plus a basement floor and a gallery cafeteria at one end. In the 1980s, the store suffered a downturn in trade and reduced its occupancy of the building to the market end basement, ground floor and gallery cafeteria. The address was updated from ‘The Precinct’ to ’10-12 Market Way’ on the store list. More recently it reduced space further by closing the basement. The store closed in December 2008, and now Poundland occupies that unit. As for how the whole ‘Lower Precinct’ building looks now, it actually looks the same as the 1953 photos, even the random balcony is still there. Trees have grown, there is now a roof shelter and a water fountain, plus the road has been pedestrianised. 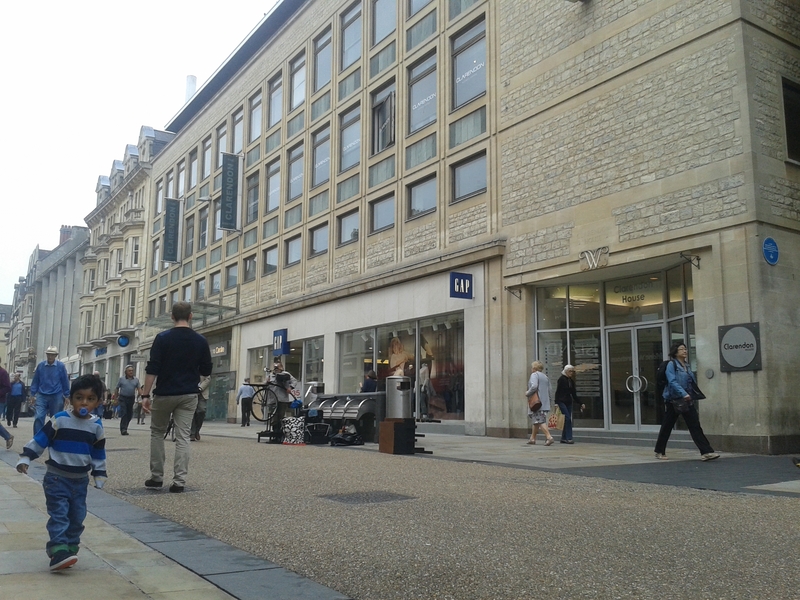 Boots is where the original 1950s Woolworth store was, and Sport Direct occupies the other half of it. 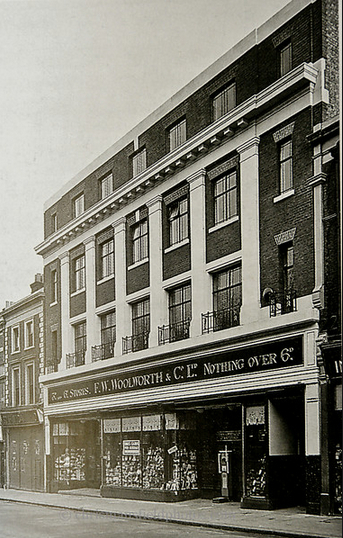 One of the very early stores, Woolworths opened on Putney High Street sometime between 1914 – 1915. You can see it in the below photo – the fourth building along. In the 1960s, they moved across the road. 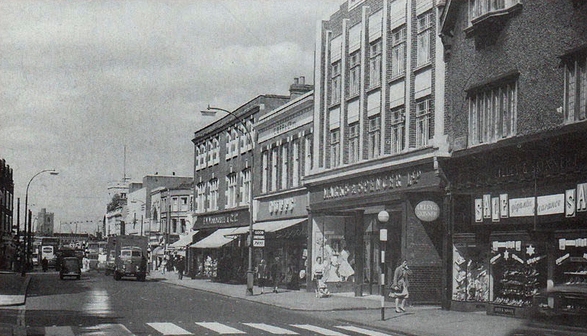 Today Robert Dyas and Boots are where the Woolworths used to be at 45 – 53. This was the new building, in classic 1960s style. They traded here at 60 – 62 High Street until they closed on 5th January 2009. 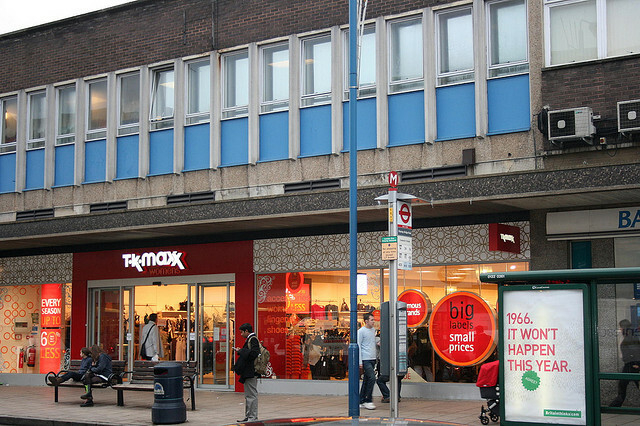 On 8th October 2009, a TK Maxx opened in its place. 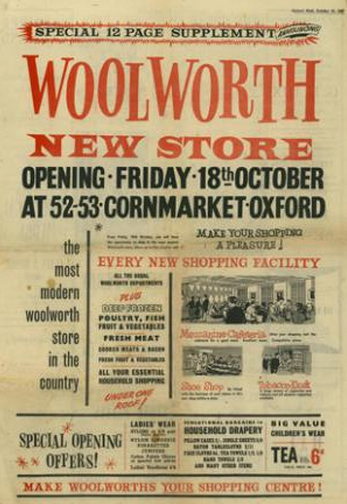 This Woolworths store opened in part of the Crown Hotel on Market Square, Marlow around 1935. The building was formerly the town hall dating back from 1807. Here is a postcard of the whole building when it was the Crown Hotel in 1913. 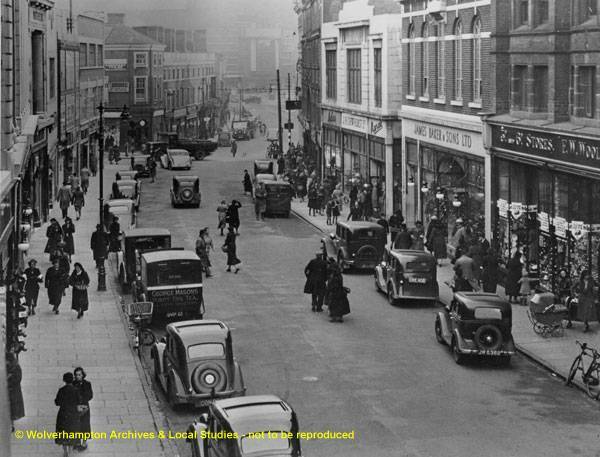 And here you can see the side that became Woolworths, this was in the 1950s. Relatively unchanged in the 1970s. I think the store closed in the 1980s when the company closed a lot of stores to cut costs, and since then it has been a Boots store. Here it is today. 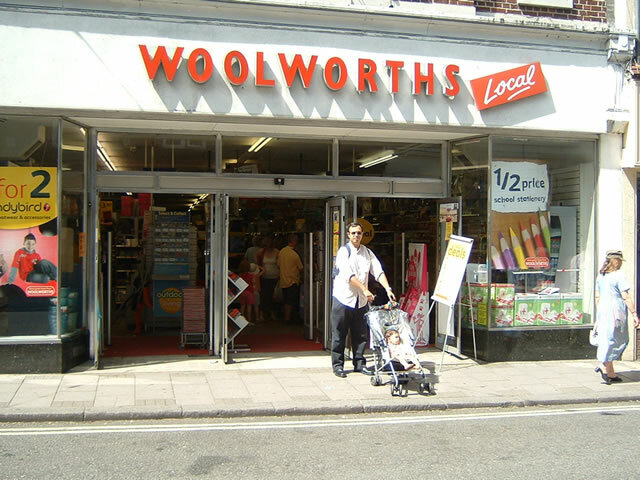 Woolworths opened in the seaside town of Bognor Regis in 1928. 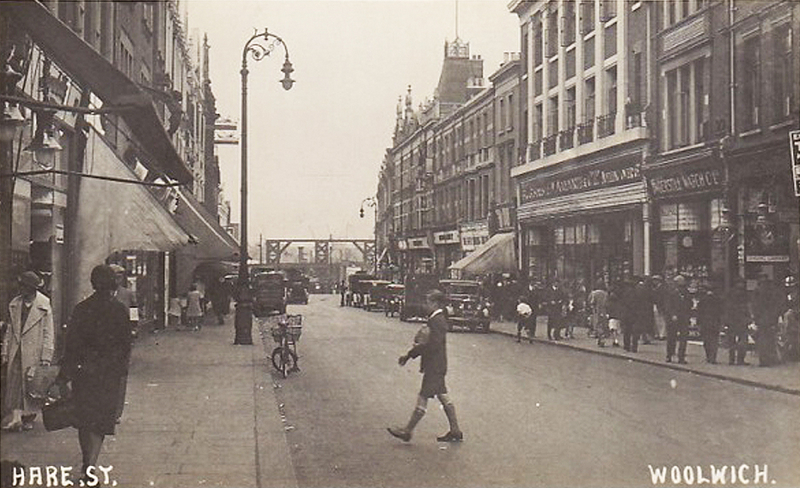 I have found an undated postcard below of London Road and it looks as though the tall building in the centre, left side, is the F.W.Woolworth store. 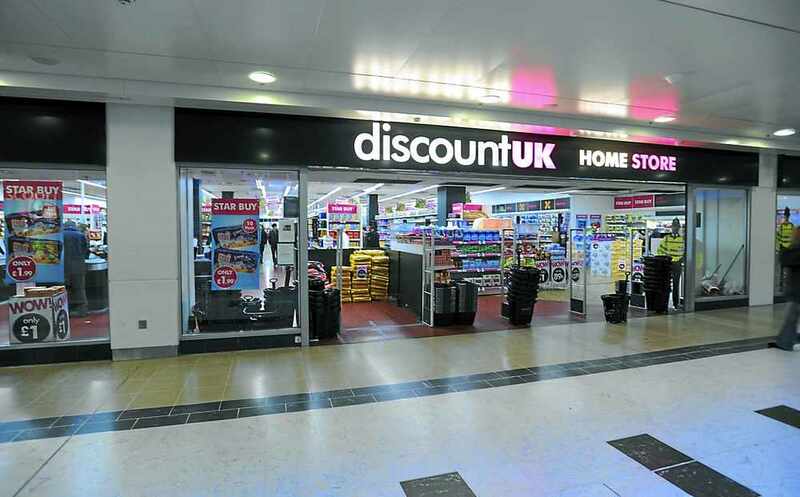 After all that, the store that would not be beaten had to close when the chain went into administration in December 2008. 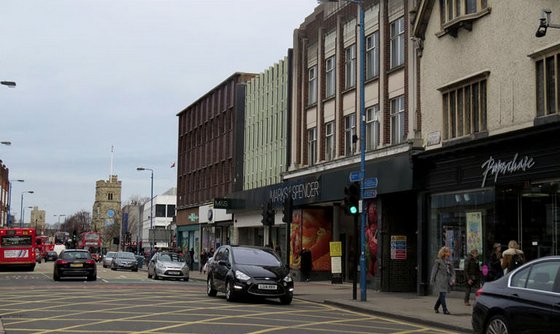 Wilkos now occupy the building, and you can clearly recognise it as the upper facade is exactly the same – a bit of Woolies architecture still on the London Road.